I love the simple and yet complex message in this little plaque. It inspires me to think about my many blessings even in the midst of sadness. I am not the only person who has lost loved ones. I am not the only one who is lonely. I am not the only one whistling in the dark at times. I am just one person who can try to brighten my day by helping others. When I was in graduate school learning about different therapeutic approaches, I recall our professor stating that there will always be people hurting. It is so true in so many ways from children to seniors. So, there is always something I can do or say to be of help in a quiet, non-obtrusive way if that is the right thing for that person. Sometimes just sitting with a person is all that can be done. I recall sitting with a young father whose toddler was dying. There was nothing I could say but I could stay with him and that is what I did. So even in the midst of a world where things go horribly wrong and no safe harbor appears on the horizon, I must remain thankful and optimistic. Thankful for my brains and fortitude. Thankful for those around me who care about others and living a decent life. Thankful that I can rise everyday and live in freedom and relative safety in an imperfect world. Posted on November 28, 2015 January 21, 2016 by lorigreerPosted in My JourneyTagged death, grief, optimism, therapy. Thank you. What a wondrous soul you are. 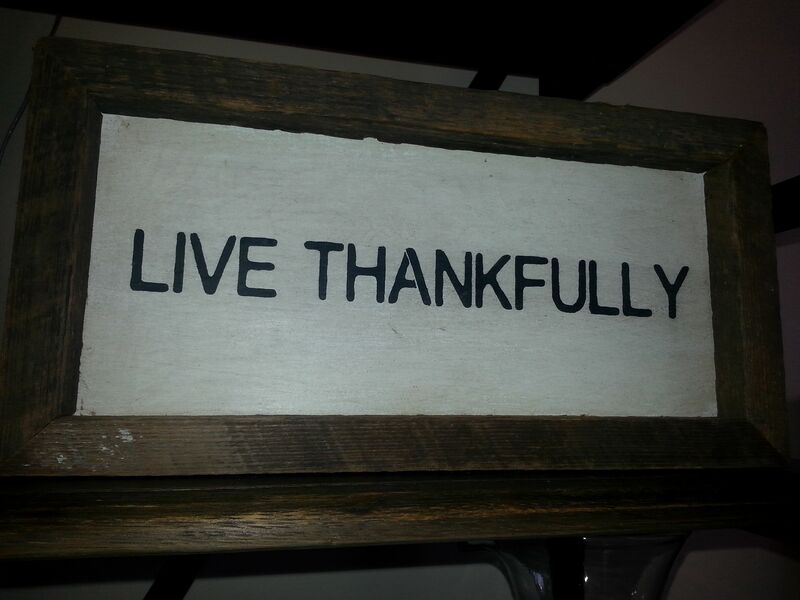 Continuing our day of thanks and gratitude, Lori Greer in Portland reminds us to Live Thankfully! Beautifully written, and so very true. Today is one of those days I personally needed to be reminded of being thankful! Hope that your day went well. Yes! One can always find something to be thankful for even though it may simple. Today I am thankful for sun even though it is cold for us. Oh, yes, I am thankful we will not be getting snow! Thank you for sharing. Life at the beach. Sounds wonderful! Reblogged this on I Love my Husband, I Love to Cook, I Love to Read 🙂.